The story of how Martin McGuinness allegedly lured Derry IRA informer Frank Hegarty back from England, promising his mother – on bended knee according to accounts – that he would not be harmed, only for Hegarty to end up on a lonely country road with a bullet in his head has been told here, here, here and here. Doubtless it will figure again in the course of the Presidential campaign and will be used by his opponents and enemies as evidence of the man’s flawed character and unfitness to represent the people of Ireland in the Phoenix Park. I am not going to rehearse the story here but I thought it might be useful to place the McGuinness-Hegarty tale in the context of the time it happened, 1986, and the politics of the then IRA leadership. That way it might be possible to understand why it happened. The story begins in February 1978 when Gerry Adams was arrested and charged with IRA membership just a few days after the awful La Mon tragedy when a botched firebombing of the hotel on the outskirts of east Belfast killed twelve people, all Protestants, who were incinerated to death, and injured thirty more, some horribly. The move against Adams was done to placate angry Unionist public opinion, understandably, but the charge of IRA membership was impossible to sustain – short of self-incrimination membership charges were never successful. But it did keep Adams off the streets for the best part of a year. He had been released from Long Kesh a year or so earlier and had set about implementing the re-organisation he, Ivor Bell, Brendan Hughes and others had plotted in jail. So placing him in the remand wing of Crumlin Road jail removed a key player at an important moment. Changes in security policy introduced after the lengthy but ineffective ceasefire of 1974/75, especially the use of Castlereagh interrogation centre, had brought the IRA to its knees and close to defeat. Adams’ re-organisation, principally the introduction of a new Northern Command, was beginning to revive the IRA when La Mon happened. With his arrest Adams automatically lost the post of Chief of Staff, which he had just taken from Seamus Twomey, and so Martin McGuinness, then Northern Commander, replaced him. The subsequent three or four years were to provide dramatic evidence that the IRA was indeed back in business and while not the force it had been in 1972, it was nonetheless strong enough to sustain the ‘long war’ crafted in Long Kesh. It was during these years that the rank and file trust in the Adams-McGuinness leadership was created, a trust that would prove so valuable when the peace process began. By the summer of 1982 however the IRA was set on a different path. The hunger strikes of 1981 had created an opportunity for Sinn Fein to enter electoral politics. Owen Carron had replaced Bobby Sands as MP for Fermanagh-South Tyrone, a council seat had been won in Carrickmore, Co. Tyrone but the big test, Sinn Fein standing in a Northern Ireland-wide election, was yet to come. That October it did when the British held elections to a new putative power-sharing Assembly, a body doomed to failure by the result which saw Sinn Fein win ten per cent of the vote and stun the Irish political and media establishment. Martin McGuinness badly wanted to stand in that poll. He knew he was popular enough in Derry to win a seat and such was the level of post-hunger strike Nationalist anger in the city that he might even give John Hume a scare. The problem was that he was Chief of Staff and others on the Army Council bridled at the thought of their commander holding a seat at Stormont, even on an abstentionist basis. So McGuinness was obliged to give up the post, handing it to Ivor Bell, one of Gerry Adams’ closest colleagues in the Belfast IRA. Less than a year later however Bell was also arrested and briefly held on charges based on evidence given by Belfast Brigade supergrass Robert ‘Beano’ Lean. Although Lean later retracted, Bell lost the Chief of Staff job which went to Aughnacloy man, Kevin McKenna. (A few years later Bell was forced out of the IRA altogether when his unease at Sinn Fein’s political direction and anger and suspicion at the deprioritisation of the IRA combined to persuade him to launch a tilt at Adams which failed). It is around this time that the Frank Hegarty story really begins. During his tenure as Chief of Staff, Ivor Bell had dismissed Frank Hegarty from the IRA. A member of the organisation since the early 1970’s, Hegarty had risen to the post of Northern Command Quartermaster (QM) by 1982, a significantly important job. But he was also having an affair with the wife of a soldier in the Ulster Defence Regiment, the mostly Protestant militia created in 1970 to replace the B Specials. Someone in the IRA found out about Hegarty’s dalliance and reported him. Clearly his liaison made him vulnerable to blackmail and since he was now regarded as a potential informer Hegarty had to go. Some time after that Hegarty was approached by the Force Research Unit (FRU), a British Army agent-running unit with headquarters at Thiepval Barracks, Lisburn and persuaded to rejoin the IRA which he did. How no red flag was raised in the IRA at Hegarty’s return would become one of the divisive issues in the affair, especially as he also managed to inveigle his way back into the Northern Command quartermaster’s department. The Force Research Unit had ambitious plans for Hegarty telling him, as the IRA learned when they eventually interrogated him, that they wanted him to rise as high as he could, even as high as Quartermaster General (QMG). The FRU would remove his bosses, one by one, to facilitate his ascent. By the end of 1985 Hegarty had been seconded to work on attachment to the QMG’s department to help shift weapons which were beginning to arrive from Libya. A year or so earlier Libyan Intelligence and the IRA had struck an audacious and ambitious deal. The Libyans would supply hundreds of tons of weaponry and millions of pounds if the IRA pledged to make life for Mrs Thatcher’s government uncomfortable, something the IRA had no difficulty agreeing. It was Libya’s revenge for the expulsion of their diplomats after the shooting of WPC Yvonne Fletcher while the IRA then laid plans for a major military offensive, based on the Vietnamese ‘Tet’ offensive, designed to sicken British public opinion with Northern Ireland and perhaps force the British to take counterproductive security measures such as internment. Hegarty was part of a squad that moving some 80 AK-47’s smuggled in from Libya in August 1985 to dumps in the north-west. The weapons were stored in two temporary dumps in Roscommon and Sligo when they were discovered. The Garda Special Branch were ultimately responsible for everything that happened afterwards. Eager for a coup against the IRA the Garda insisted on raiding the dumps, ignoring British advice to ‘jark’ the weapons instead, that is bug them so they could be followed to their destination. Hegarty had been told that the weapons had come from Europe and the presence of some Belgian rifles in the dumps seemed to authenticate that. Nonetheless British & Irish intelligence had come very close to discovering the Libyan arms smuggling venture at a very early point. Realising that his past expulsion from the IRA would surface when the IRA investigated the arms seizure and that he would then be the prime suspect for betraying the weapons, Hegarty fled to England where MI5 housed him at a secure location. Homesick and missing his family Hegarty contacted them by phone, the Provos found out and at this point Martin McGuinness entered the story. He was enticed back home, naively believing McGuinness’ assurances about his wellbeing, interrogated by the IRA’s Internal Security Unit and then killed. So why did Martin McGuinness go out of his way to cajole Hegarty back to Derry? It was, after all, a high-risk enterprise. He must have known that Hegarty had no chance of surviving and that he would be killed. He also knew that Hegarty’s family would be angry with him for so blatantly misleading them and that in all likelihood they would make their feelings known publicly and blame him for the killing. His name and reputation would be sullied for ever. He could have sent someone else to lie to the Hegarty family but he knew that Hegarty would accept assurances from no-one with less clout and authority in the IRA than himself. It was, we can then conclude, enormously important for McGuinness not just that Hegarty be brought back to Derry but that McGuinness be known as the man who brought him back. Again the question, why? The answer might well lie in the intense rivalry and mutual dislike between Martin McGuinness and Kevin McKenna and the vying between them for the Chief of Staff job. According to IRA sources who knew the two men well and observed them in action, a deep loathing characterised the relationship. For his part McKenna, a very private, publicity-shy figure, deeply resented constant media reports that McGuinness was the real Chief of Staff and more so that, as someone who was one of the more media-friendly Provo leaders, he had done very little to discourage that impression. McGuinness on the other hand, according to former colleagues, harboured ambitions to get his old Chief of Staff job back, especially so when the Libyan deal was struck. 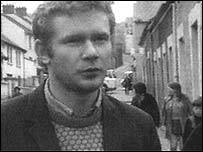 If there was an IRA ‘Tet’ offensive, Martin McGuinness wanted to be known as the man who led it. And McKenna stood in his way. By late 1985, Kevin McKenna had been Chief of Staff for just two years but already there had been some bitter clashes between them at leadership meetings. At one Army Council meeting McGuinness launched such a powerful assault on McKenna’s stewardship of the IRA that it seemed as if the Chief of Staff might be forced to offer his resignation. Only the intervention of ‘Slab’ Murphy to show support for McKenna stopped that happening. The Garda swoop on the Libyan arms dumps and Hegarty’s flight to England brought a new and deadly intensity to the rivalry. The first question was how on earth Frank Hegarty had got back into the IRA? Since both McGuinness and Hegarty were Derry men who had been in the city’s IRA units together in the 1970’s & knew each other, and since McGuinness was now Northern Commander and Hegarty was attached to Northern Command then surely, McKenna and others asked, McGuinness must have known that he had got back into the IRA? The question was full of unspoken menace and danger for McGuinness. The IRA knew full well that when British intelligence wanted to infiltrate and advance agents inside their ranks they would sometimes use other agents to smooth their path. If McGuinness had allowed Hegarty back into the IRA knowing his past, then this made McGuinness a suspected British agent. McGuinness denied, according to these IRA sources, knowing anything about Hegarty’s re-instatement and initially said the informer must have been someone else (during his interrogation by the IRA Hegarty claimed that McGuinness had in fact known and approved his return to the ranks. This sparked another blazing row between McGuinness and McKenna but Hegarty’s assertion was unprovable). One way of clearing his name, or at least going some way to doing so, would be if McGuinness were to play a leading part in luring Hegarty back to Derry and to his death. It wouldn’t settle the matter since the IRA was well aware that British intelligence would have little compunction in sacrificing one, now useless informer to protect another active and more valuable one but it would suffice until some more compelling evidence against McGuinness emerged, if it ever did. None of this means that McGuinness was an informer. But it does suggest that he was frightened of being labeled one and that if he didn’t act to clear his name, his arch-rival Kevin McKenna would triumph and his IRA career might be so clouded with doubt and suspicion that it would be effectively over. As it was the Frank Hegarty affair killed off any chances that McGuinness would oust McKenna and replace him as Chief of Staff. McKenna would serve as Chief of Staff for another eleven years until he was replaced in 1997 by ‘Slab’ Murphy. He was the Provisional IRA’s longest serving commander. McGuinness survived and has prospered so well that he is now a contender for the Aras. Postscript: Frank Hegarty’s FRU handler was Ian Hirst, better known as Martin Ingram and the man who outed Freddie Scappaticci, the notorious British agent in the IRA’s Internal Security Unit whose codename was Steaknife. Handlers often get very attached to their agents and there’s no doubt that Ian/Martin was deeply affected by Hegarty’s death. I have often wondered if his understandable anger at McGuinness for coaxing Hegarty to his death led him to make his own, later allegations that McGuinness worked as a double agent for MI6. Intriguing stuff, but will we ever get definitive answers to all these questions? Back in July this year I was contacted by a journalist from a new ITV documentary series with the titillating title Exposure. I answered the email and then had a phone conversation with the reporter about the project she was working on. The project, which apparently was chosen as the first of six documentaries touted as ITV’s answer to BBC’s Panorama, will be/was broadcast on September 26th. Judging by what I have read about it, Exposure looks like it will be an eminently missable series to watch, or rather not watch. The entire programme is based around a claim that Colonel Muammar Gaddafi decided earlier this year to send over £1 million to Republican dissidents in Northern Ireland in an effort to cause trouble for Cameron’s government, one of the leading lights in NATO’s bombing campaign against the then Libyan leader. The programme claims that a Libyan government courier flew into London carrying a suitcase packed with two million dollars (wrapped in plastic the programme says, in one of those little credibility-adding details in a story that is otherwise distinctly lacking in plausibility) destined for the dissidents’ war chest. The Libyan courier hid out in one of Gaddafi’s London homes, a luxury property in Knightsbridge, before delivering the suitcase to a businessman and IRA dissident sympathiser. An enticing tale, yes? But who was the source? Well it turns out someone in MI6 told the programme all about this extraordinary plot. Will we be told the name of the MI6 man or woman? We’ll see but I doubt it. Will he or she be interviewed and the claim subjected to proper scrutiny? Again I doubt it but we’ll see. I certainly hope that the source is quizzed as one of the questions I would like to see put is whether this claim is really just a piece of black propaganda put about to justify a regime-change bombing campaign by the MI6 person’s employer, to wit the Cameron government. Will Exposure have other evidence to back up this claim or will the rest of the programme consist of lurid archive of IRA bombs and shootings from the days when Gaddafi did arm and fund the Provos, archive designed to make the current claim all that bit more believable? Going back to that phone conversation with the journalist from Exposure. Flattering me with praise for my book ‘A Secret History of the IRA‘, the journalist suggested that I could be flown over to London where I would be interviewed by the programme makers. But it did not take long before it became clear I was not saying what the journalist wanted to hear. Did I not think that Gaddafi had made the Provisional IRA a really potent threat, that the weapons he provided were amongst the deadliest available (i.e. and would do the same therefore for the dissidents)? Well, I replied, there’s no doubt that he gave them lots of weapons, some of which like Semtex explosives did make a big difference, but some were duds or next to useless, like the SAM-7 missile launchers which turned out to be so outdated the British counter measures easily neutralised them, or the Dushkie machine guns which were so heavy they were completely unsuitable for guerrilla warfare. I had written in ‘A Secret History…’ that many of Gaddafi’s weapons had come from the back shelves of his stores and I still believe that. And then, I added, there was an irony about Gaddafi’s support for the IRA, it had actually if unintentionally helped foster the burgeoning peace process. 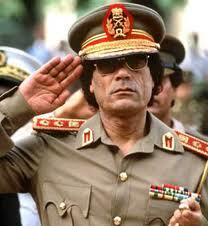 So in a sense, Gaddafi was, loathe that he would be to admit it, one of the midwives to the process. I explained: the interception of the gunrunning ship Eksund in the autumn of 1987 robbed the IRA’s planned Tet-style offensive of its vital surprise element. The loss of this potentially valuable military card gave added value to the then infant peace process which eventually became the Provos’ only game in town. If Gaddafi hadn’t sent the Eksund it wouldn’t have been caught and the Adams camp in the Provos would not have been suddenly strengthened. Meanwhile the earlier arms shipments from Libya, which had not been betrayed and were now stored in dumps around the country, gave the Sinn Fein leadership a priceless card to play in the subsequent peace negotiations – i.e. decommissioning – thereby making the peace process even more enticing to the Provos. So in these ways Gaddafi had unwittingly helped to bring peace to Northern Ireland. Needless to say with each point I made the prospects of me being flown to London diminished visibly. The killer came when I suggested that the programme’s source in British intelligence had a dog in the fight – the need to blacken Gaddafi and justify his overthrow – and therefore his or her word about the former Libyan leader funding the dissidents had to be taken with a spoonful of salt unless it could be verified independently. Maybe I will regret writing this and tomorrow I will read that the MI6 claim has been stood up in some convincing way. But I am not holding my breath. There was a time, pre-Margaret Thatcher, pre Murdoch, pre-deregulation, when British television documentaries were the best in the world, when each week the viewer had a tantalising choice of good programmes to watch like This Week, World In Action, Weekend World, First Tuesday & This World whose coverage on the Troubles, incidentally, became invaluable as Section 31 bit deep into the Irish media. That was the golden age of British television, now long gone, sadly missed and badly needed. How sad that Exposure chooses as its flagship programme a tawdry piece of government black propaganda tarted up as journalism. The Director of Television for the ITV network, Peter Fincham, had this to say about his new strand, Exposure: “It will be investigative current affairs of a sort that has been an ITV tradition.” And I am the King of Siam. And, no, I never did get that trip to London. Wonder why? It seems I was wrong about Exposure. Wrong in the sense that I completely underestimated the idiocy of the programme-makers. The two links highlighted, first here and then here, tell the sad story. You really couldn’t make this stuff up! What was that Peter Fincham was saying about Exposure following ITV’s “tradition” of investigative current affairs? Hat-tip to Eamon Lynch and Cormac Lucey. It seems that shooting down a helicopter was not the only footage lifted from that computer game. Love to be a fly on the wall in Exposure’s office today. Exposure’s shoddy journalism is now getting coverage in the mainstream British press. Any chance that MI6’s role in this shabby affair will come under the spotlight? Don’t hold your breath. In other words the editor reached for the wrong tape and no-one noticed. Well, I can remember the incident and the film quite distinctly and this cover story cooked up by ITV just doesn’t wash. I remember it because at the time Danny Morrison told me of his anger when he saw the IRA film and realised the cameraman had botched the job and squandered a wonderful opportunity to land a really impressive propaganda coup. Danny was of course the IRA’s….sorry Sinn Fein’s publicity director at the time so I guess he knew that whereof he spoke. The ambush of the helicopter took place in South Armagh and the presence of the cameraman was evidence that this had been a carefully planned event, long in the making. The only problem was that the guy chosen to film it was a plonker. The IRA squad opened fire on the chopper, which as I remember it was flying very low at the time – either it had just taken off or was about to land – and apparently winged it, forcing it to the ground. But the cameraman missed the whole thing. His lens was instead focussed on the masked gunman firing their weapons which included a lumbering Dushkie machine gun. So a carefully staged event designed to demonstrate that the IRA now ruled the skies over South Armagh & that at long last the much-cherished goal of downing a hated British helicopter had been achieved instead became embarrassing evidence of the allure exerted by masks and guns on the Provo psyche. Understandably Morrison was, I recall, fuming at the cameraman. So the other “correct” footage of the IRA shooting down a helicopter with Gaddafi’s guns was nothing of the sort; it was just another film of IRA gunmen firing at an unidentified target, the sort of footage which Danny & his minions produced by the mile every year. That is why, I strongly suspect, the real footage was not used and instead the programme-makers at Exposure reached instead for the sexier, more dramatic computer game. I don’t believe it happened by accident. I suspect it was quite deliberate. OfCom which regulates British television has slated the producers for their use of bogus footage. Their comments can be read here. It has been the accepted wisdom in Irish politics for almost as long as I can remember that when it comes to telling the story of their lives in the IRA that Gerry Adams is regarded as a brazen liar while Martin McGuinness is treated like a paragon of virtue and candour. As far as the first part of that statement is concerned there is no contest. Gerry Adams’ contention that he was never, ever in the IRA has to rank amongst the world’s biggest whoppers ever, a veritable taradiddle in the pantheon of untruths. Almost as breathtaking as the cheek of Adams’ claim was his belief and assumption that somehow he’d get away with it. In fact he has paid a huge price for this fairy tale. His attempt to distance himself from the IRA and what it did under his command so angered Brendan Hughes that he broke the IRA’s unwritten rule of omerta and told all, or nearly all he knew of Adams’ past history to researchers at Boston College. By so doing Hughes made Adams’ effort to rewrite his life a ludicrous sham. Similarly I very much doubt whether Dolours Price would have given an interview to the Irish News, and indirectly to the Sunday Life, about Adams’s role in the various ‘disappearances’ of the early 1970’s if she had not been maddened by the disavowal of his and therefore her life. So when Martin McGuinness appeared in front of the Saville Tribunal on Bloody Sunday and admitted that he had been in the IRA and held a senior position in the Derry Brigade at the time of 1 Para’s killing spree, much of the media hailed his honesty and so was born one of the most enduring myths of the Troubles: Gerry Adams lies about his IRA past while Martin McGuinness tells the truth. Thus when it comes to choosing Sinn Fein’s candidate for the Aras, all that puts McGuinness at a considerable advantage over his party leader. While Adams would be hounded by awkward and damaging questions from the media about his past, McGuinness can play the role of the honest paramilitary apostate, truthful about his past and now a changed man. But what did Martin McGuinness actually tell Saville? Was it the truth or did he too lie? The answer can be found very easily on the web. Type Saville Inquiry into the Google search box, and when the Tribunal’s web page comes up click on the link to Contact Us and then go to Transcripts. Scroll down to Ts391, which stands for transcript of day 391, which happened to be November 5th – Guy Fawkes’ Day – 2003. There, on pages 137 through 141, you will discover what Martin McGuinness really had to say to Saville. He was being questioned by Edwin Glasgow QC, counsel for the Paras who began this part of the cross-examination by asking McGuinness about the IRA’s “Green Book”, the organisation’s manual, for want of a better term. McGuinness’ answer is the first hint that his admission of IRA membership is very much time-limited, that he is ready to acknowledge membership in the days when the IRA’s campaign was part of a popular uprising but not later when it took on the characteristics normally associated with terrorism. The creation of ‘The Green Book’ was a part of the re-organisation of the IRA that took place in the late 1970‘s and early 1980‘s. This all arose out of discussions in Long Kesh involving Gerry Adams, Ivor Bell and Brendan Hughes amongst others and was prompted by their perceived need to rebuild the IRA after the failed ceasefire of 1974/75. “The Green Book” set out the IRA’s aims, tactics and politics, included a copy of the organisation’s constitution and was required reading for recruits not least because it set out the penalty – death – for informing and for other transgressions. An IRA Volunteer accused of betraying secrets could avoid a bullet to the head if he or she could prove that they had not been “Green-booked”, i.e. instructed to read the document. Now Martin McGuinness could have taken up Edwin Glasgow’s offer and declined to answer that question, but he didn’t. Instead he chose to tell a lie. It may not be as flagrant as Gerry Adam’s lie to be sure; he didn’t say he had never been in the IRA (and given his infamous interview with the BBC’s Tom Mangold, he could hardly do otherwise) just that he’d been in it for only a short time. But it was still a lie and, given events between ‘the early part of the 1970s’ and the ending of the IRA’s war in 2005, a pretty darned big one. In a sentence his post-1972 career as Chief of Staff, twice Northern Commander and Chairman of the IRA’s Army Council (during which times he would have been on familiar terms with “The Green Book” and those who had ignored its warning to putative informers) was simply washed away and with it all the things he is alleged to have done while holding down those jobs. It will be interesting to see how the media treats all this as the campaign for the job in Phoenix Park hots up. How does that statement square with what McGuinness told the Saville Tribunal? Three cheers for the Irish Echo and Terry Golway. Reproduced below is this week’s editorial in the Irish Echo, New York’s largest and by far most interesting Irish-American publication. Written by journalist and academic Golway, it deals with the Boston College subpoenas in a straightforward and principled way: this effort by the PSNI and, to its shame, the US government in trying to force the surrender of interviews in the BC archive is an attempt to gag historians and those who try to record the story of the Troubles, this most cataclysmic episode in recent Irish history, in an honest and complete a way as possible. It is perhaps because of their fear of such an outcome that others – and they know who they are – have chosen to cloak their comments about the Boston College controversy in poisonous bile. By contrast the Echo is to be congratulated for taking an honorable stand on a matter that should be of concern to all who value the telling of truth. The director of the BC project, veteran journalist Ed Moloney, understood that this collection of testimony required absolute candor. Historians and journalists know that personal oral histories are valuable tools, although they also know that memories can be faulty, supposed eyewitness accounts can be flawed, and that apparent candor still must be subject to skepticism. 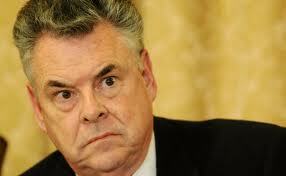 Peter King – ’nuff said! Peter King, who readers of this blog will be aware has been leading a Congressional investigation into so-called Muslim radicalisation in the US, has been appearing himself as a witness in front of another probe into Muslim extremism, this time at Westminster. Inevitably, the subject of his past support for IRA terrorism figured prominently in the exchanges with British MP’s. Here is Salon.com’s report of the hearing along with video footage. Thanks to Justin Elliott. 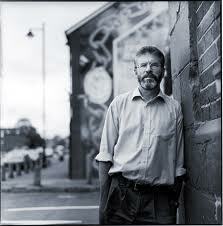 Within the confines of its goals, Sinn Fein’s peace process strategy was both clever and effective. Boiled down to its essence it amounted to the party negotiating away the IRA’s war and associated political dogma in return for political and electoral gain and advantage for Sinn Fein. The goal was not a united Ireland – that was never on the agenda – but the relaunch of Sinn Fein as a constitutional party of government in both parts of Ireland, firstly and most easily in the North and then, with initial hiccups but then with some help from the bankers, in the South. The Provos had some valuable, even priceless chips to trade with the British in the peace process negotiations. These included the first and second ceasefires, the acceptance of the consent principle, the decommissioning of the IRA’s arsenals, agreement to become Ministers in the government of the state they were once pledged to destroy, deference to British economic and social policies, recognition of the PSNI and finally, formally ending the IRA’s war and the dismantling of its structures. The Sinn Fein negotiating team were very adept at playing some of these chips. The decommissioning chip in particular was deployed in such a way that it helped destroy both the SDLP (an intended goal which gave SF the leadership of Northern Nationalism) and David Trimble and his Official Unionists (perhaps unintended but ultimately advantageous to the party). But Sinn Fein could not have strung out the decommissioning process for so many years (seven of them to be exact) without the approval and assent of the British authorities. To the intense frustration and anger of Trimble’s allies, Blair’s government refused time and again to apply pressure or threaten sanctions against Sinn Fein unless the IRA made good on the pledge to disarm. Even when the IRA robbed the Northern Bank and its members knifed Robert McCartney to death, Blair’s government, along with the Bertie Ahern administration in Dublin, sought refuge in denial, so strong was the impulse to coddle the Shinners. The reason why the Blair government behaved like this was the same reason that key parts of the security establishment, namely MI5 and the RUC Special Branch, went out of their way in those days to help those in the Provos who favoured the peace process and to hinder those who were opposed. (I remember, as an example, one senior Special Branch man telling me how, on the eve of IRA Conventions, his men would issue orders for the arrest of troublemaking delegates so they wouldn’t be there to cause Adams and his allies any difficulties). After all the prize was unimaginably alluring and something that even in their wildest dreams security chiefs could never have believed possible: the war being ended by Provisional IRA fiat, its leaders delivering its members and guns into a settlement that was less than that available to the SDLP in 1974. It made obvious common sense that the security forces would do all they could to ensure this outcome and help those in the Provos who were leading the mission. Perversely and for reasons all to do with convincing its supporters that the peace strategy was heading to a very different place, Sinn Fein leaders persisted in claiming that the security establishment was actually fighting tooth and nail to do the opposite, to obstruct its negotiations. So was born the securocrat myth, the idea that legions of MI5 and RUC Special Branchmen were working day and night to hinder Sinn Fein’s clever plan to achieve Irish unity. It was of course nonsense – but only at the time. The key point is that that was then and this is now. The IRA has given up most of its weapons (the non-defensive ones, that is), the IRA itself has formally ended its war with Britain and its structure & units have mostly been dismantled. Defanged and disarmed the IRA now presents no threat to the British and accordingly the need to indulge and accommodate the Provos and their leaders has diminished. It is not difficult to imagine how much it must have stuck in the craw of MI5 and the RUC Special Branch to lend a hand to Gerry Adams during the days of the peace process. He was, after all, the effective leader of an organisation that had killed the Queen’s cousin, nearly obliterated Margaret Thatcher and her cabinet, had bombed the City of London to smithereens and generally made their lives miserable and complicated for over three decades. The temptation to hang him out to dry must have been immense but given that their real interests lay in the opposite direction, they resisted it. But that need has gone. This then is the weakness of the Provos’ peace strategy. As long as they had chips to play in negotiations and as long as the IRA was a threat then it behoved the British to lend Adams and his colleagues a hand; the strategy was a strong and powerful one for these circumstances. But once the deal was done what reason was there for the British to continue cosseting the Sinn Fein leadership, especially since the various dissident groups have turned out to be every bit as inefficient, divided, riddled with agents and incapable of presenting a threat as it was predicted they would be? It is in such circumstances that the thoughts of some in the security establishment may turn to revenge against people like Adams, to extract payback for Mountbatten, Warrenpoint, Brighton and so on. Especially so at a time when his party is on the verge of significant electoral and political success in the South. If that project could be undermined or damaged, then so much the better. That’s where the subpoenas served against Boston College, seeking Dolours Price’s interviews as well as any that mention the disappearance and death of Jean McConville, enter the story. From what is known publicly about that killing, from Brendan Hughes’ published interviews and especially Dolours Price’s tape-recorded interview with Allison Morris in the Irish News/Sunday Life in February 2010 – which was ultimately responsible for the move against Boston College – any criminal investigation of the McConville death is bound to end at Gerry Adams’ door, one way or another. As the saying goes, revenge is a dish best served cold.